If you’ve heard of quinoa, juice detox, or coffee enema, then this is probably not the first time you come across the concept of alkaline water. 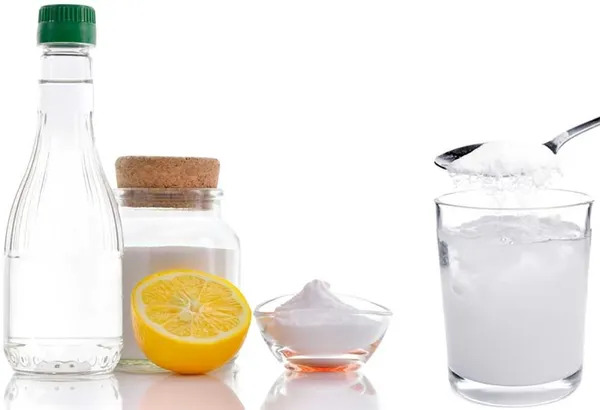 With a new diet trend spun out and fading almost every other year, it can be challenging to decide if alkaline water is a fad, or actually a healthy regime to maintain in the long term. Perhaps if the latter is the case, you’d be interested in learning how to make alkaline water. That way, you won’t have to spend ridiculous money buying premium bottled water. Hence the exploration we will make today. The alkalinity of water, as well as many other liquids, is determined by the pH ( (potential of hydrogen) level. The higher the pH, the more alkaline or basic a liquid is, and vice versa. The pH level of normal drinking water is usually seven. Alkaline water has a higher pH than seven, usually somewhere between eight and nine. Alkaline water may come from springs or artesian wells in areas where there is a large amount of dissolved minerals. You can also produce it using very simple methods. Among which, the most effective is using a commercial or residential water ionizer. It’s worth noting, however, that there are claims that the water quality is not on par with that of alkaline water from natural sources. Like the case with other health trends, there is a debate around the benefits and risks associated with consuming alkaline water. The hype of drinking alkaline water stems, as far as we know, from the acid-ash hypothesis of osteoporosis. Advocates of this hypothesis claim that foods that turn into acidic ash after burning in the metabolic process can make blood more acidic. They believe this causes osteoporosis, a condition where our bones become weakened, fragile, and more prone to breaking. A high acidity also leads to faster aging and nourishes cancer cells, according to the theory. This roots the alkaline diet, a diet consisting mostly of foods that produce basic ash when burned. Followers of this diet believe it can improve your health and skin condition, slow down the aging process, and reduce the risk of cancer. Alkaline water is a widely accepted part of this diet. You may have noticed that most of these benefits are obtainable by drinking normal water. That said, we have found some researches which lean toward alkaline water as the superior choice. Weidman et al. concluded in their study that alkaline water was more effective than neutral water in reducing blood viscosity after exercise. Viscosity is, in layman’s term, the thickness and stickiness of blood. A thinner, less viscous blood is better for most people, because it decreases your risks of having heart problems. Koufman and Johnston suggested that pH 8.8 water might help with acid reflux. They found that the water denatured the damaging agent pepsin. It also acts as a buffer against stomach acid. Those are small-scale studies, and more evidence would be necessary before we can confirm the benefits of high pH water. The good news is, if it may not be beneficial, alkaline water is still very safe to drink. Of course, the overconsumption of it does come with side effects. The chances are slim, but metabolic alkalosis may occur if you drink too much alkaline water and take in an excessive amount of bicarbonate. Alkalosis can cause hand tremors, muscle twitching, and mild nausea. In more serious cases, it can lead to shock or coma. Luckily, it is extremely unlikely that one would drink enough alkaline water to get to this point. When discussing the negative effects of basic water, overhydration is also a possibility. It is when you overdrink any other liquid. But this is also not very common. As an adult with normal, healthy kidneys, you would have to drink more than 27 ounces within an hour before it occurs. Another possible non-healthwise side effect of drinking alkaline water is the overspending on bottled water. This, however, is reversible. There are many ways you can produce your own high pH water for drinking without bleeding the wallet. Here are the 6 common ways you can turn your tap water into high pH water. With a high pH level, baking soda can alkalize drinking water. With a pH level of 9, adding baking soda is one of the most popular ways to alkalize your drinking water. A widely recommended recipe is ⅛ tablespoon of baking soda in 8 fluid ounces of purified water. Stir or shake the mixture thoroughly so that the baking soda becomes completely dissolved. That’s it – you got your alkaline drink ready. Note, though, that baking soda is quite high in sodium. You may not like the taste of it in your water. Also, if you’re sensitive to sodium or are on a special diet that needs cutting down of salt, the benefits may not be worth the risks to try this method. This may sound counterintuitive, but lemon juice is part of an alkaline diet. The juice, while highly acidic (typically having pH of 2 or 3), produces basic byproducts when metabolized. Therefore, it is believed that you can reduce blood acidity by adding lemon juice into your drinking water. Whether lemon water becomes alkaline after consumption is still a matter of debate. If you’d like to try this method, the good news is, diluted lemon juice is safe (and tasty) to drink. If anything, it’ll add some vitamin C, and a tart scent and taste to your drink. The aesthetic effects are similar to when you add lemon slices into your water jug. Similar to the baking soda recipe, you can add ⅛ tablespoon of lemon juice in 8 fluid ounces of clean water. You may want to juice the lemons beforehand, and store the juice in the fridge for future use. The use of pH drops is on the rise, as drinking alkaline water becomes a trend. pH drops are liquids with highly concentrated minerals and electrolytes. You only need to add a couple drops to each glass of water to increase its pH. The liquids usually come in small handy bottles so you can carry them everywhere with you. One single bottle can improve the pH of hundreds of glasses of water. This makes these dops a favored choice compared to lemon juice or baking soda. You can find the most popular pH drops here. A water filter pitcher is a jug with a water filtration function. The water you fill it with passes through some layer of filtration materials. Depending on the type of filter used, it can come out slightly alkalized. Note that not every pitcher filter can make high pH water. The alkalization is rather only a byproduct. The main function of filter pitchers is to reduce the amount of chlorine and other impurities in the water. They can significantly improve the water smell and taste. They are also very affordable. The problem with them is that it takes a little while for the water to go through the filter cartridge. You have to wait a few minutes before the filtered water is available. Filter pitchers are thus not an ideal option for large households. If you’re planning to buy a water filter pitcher, my buying guide and review of the best filter jugs might be helpful. Household water filters not only remove various pollutants and contaminants like fluoride, chlorine and toxic heavy metals. Some of them are designed to make the water more alkaline. Simple filters like multi-stage faucet-mount filters may include mineral balls among the layers of filtration materials for this purpose. On more advanced and complicated systems, this happens during remineralization. During this stage, a small amount of calcium and magnesium is released into the water to slightly increase the pH. This stage is popular on systems such as the under sink filter or the whole house filtration system, especially those of the reverse osmosis type. The most efficient way to make alkaline water at home is to use a water ionizer/electrolyzer. This type of machine works by taking advantage of the electrolysis phenomenon. It separates the negative and positive electrodes in the water. The machine returns two streams of water: alkaline in one stream, and acidic in the other. The ionizer is highly effective in producing basic water. The icing on the cake is that it does so without introducing any substances into it. Beware, however, that some can be a little over-effective. They can the pH to up to 12, which might be a tad too high for drinking. Compared to buying bottled water, ionizing machines are the more affordable option money-wise in the long term. They also reduce the need for plastic bottles, and are thus better for the environment. Unfortunately, this type of machine can be cost-prohibitive upfront to most people. They typically have a price tag of more than $1500 each. Know of more effective ways to make alkaline water at home? Share your ideas with us! Hi Henry! That was a mistake on my part. Viscosity is indeed reduced, according to the study, which makes alkaline water potentially more beneficial. Thanks for pointing it out! Excellent! Got good ideas about Alkaline Water. Thanks for visiting, Shireen! I’m glad you found the article helpful. Could you translate 1/8 Tablespoon into teaspoons? Does 1/8 Tablespoon = 1 1/2 teaspoons? Hi Theresa, ⅛ tablespoon is about ⅓ teaspoon. Luna, thank you so much for this post. It answered several of my questions concerning the pH balance of the water I should be drinking. I would like to know if bottled lemon juice would have the same effect as fresh lemon juice. Thank you for your response. Thanks, Yours is the first to actually give me the information I was looking for and not pitching me a product! I have an acid problem I take regular pills for but still crops up and drinking tap water has made me miserable for several years now. I can’t keep drinking soda to avoid it so I was looking for how to make my water actually drinkable. Thanks so much! Thanks for your kind words Ama. Hope you found a sustainable solution to your acid problem! the best way is to use potassium -bicarbonate. K2CO3. SINCE OUR HEART IS WORKING WITH Na, K & Ca. Imbalance of this by taking excess Na, Sodium weaken the Heart Muscles.So , please use K2CO3 , which is Potassium bicarbonate. It is expensive. $7 – 8 ? pound. in health store. Saying lemon juice raises pH is the stupidest thing I’ve ever heard. Citric acid does not magically become a base. Does the phosphoric acid in soda also magically raise pH? How about the quinic acid in coffee? How about the hydrochloric acid in pools? Does that also raise the pH? How about you keep your stupid holistic medicine ideas to yourself and stop spreading misinformation. Please, in the future how about you focus on the ideas that are rooted in science and not some cherrypicked study. Every study so far has shown absolutely no benefits from drinking water with a slightly higher pH.